Welcome to our photocloud™ gateway, where you can instantly access and share your baby scan images with family and friends. 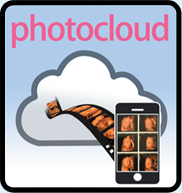 Simply purchase your photocloud™ access and enter the password provided to view your precious personal images. We aim to upload your images within one hour of your scan being completed, and they will remain accessible for a period of one month from that date. There are no copyright restrictions to the images within your photocloud™ album, so you may download, print and distribute as you desire. Please be aware your password is unique to your personal photocloud™ account, and that the confidentiality of your password is at your discretion. You may distribute the password to allow family and friends to access your photocloud™ album should you choose to do so. If you would like to add your baby scan images to photocloud™, please telephone our customer service team on 02920 732671 and we will organise accordingly.